Oils ‘R Us is committed to give you the support you need and deliver quality value added products to you. Our reliable support services mean you’re never on your own. Trained Sales Representatives & Lube Engineers On-site tailored training services and guidance on sales and lubricant support to help enhance your plant's productivity. 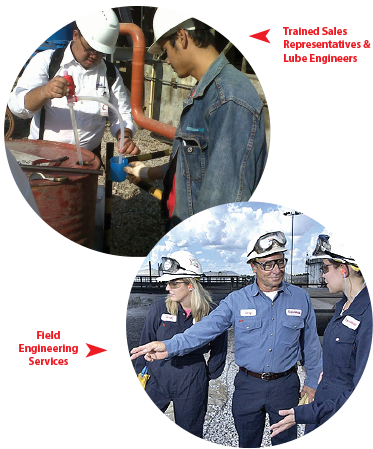 Field Engineering Services (FES) — Professional advice on sound lubrication practices, optimizing lubricant performance, and equipment trouble shooting; plus systems inspections and proactive monitoring to help you run your machines longer and more efficiently. Logistics — We are capable of delivering products to customers within 24 hours of receiving orders and is committed in ensuring product availability to our customers. 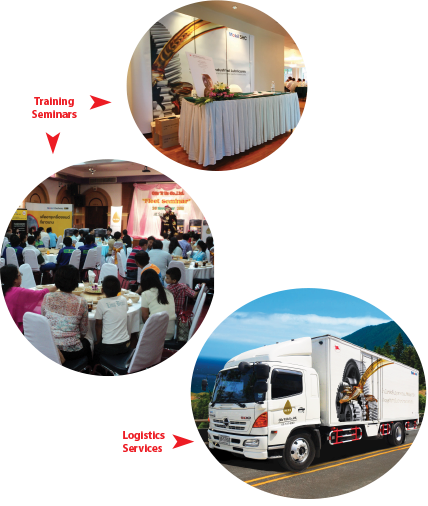 Training Seminar Sevices — We provide training services for customers on flagship & premium lubricants on a regular basis or in accordance with customer request.